ISLAMABAD, Jan 17 (APP): Advisor to Prime Minister on National History and Literary Heritage (NHLH), Irfan Siddiqui Tuesday condoled the sad demise of prominent religious scholar, Sheikh Maulana Abdul Hafeez Makki. 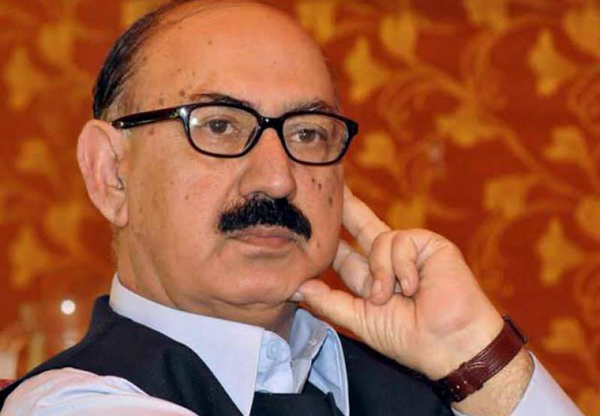 In a condolence message, Irfan Siddiqui said Maulana Abdul Hafeez dedicated his whole life for propagation of religion. He prayed that Allah Almighty may rest the departed soul in eternal peace and give courage to the bereaved family to bear this irreparable loss. Meanwhile, Irfan Siddiqui also condoled the death of renowned religious scholar, mystic poet and linguistic expert, Dr. Allama Naseeruddin Hunzai.